It’s been a long time coming, but Crash 2 is now very close indeed. And it looks as though the Eurozone collapse will both accelerate and speed up that crash. They have indeed….but there’s a rather big elephant in that observation: why isn’t gold rising in price? The Gold price fell 1.47% in May, but the U.S. Mint’s sales of American Eagle gold bullion coins in May rose 158% over the total number purchased in April. Long-term Sloggers will know we’ve been here before. Be it paper trackers, coins or bullion, the gold price is being systematically capped. American Eagle silver bullion sales for May 2012 were reported at 2,875,000 coins, up nearly 89% from the 1,520,000 silver bullions coins sold in April 2012. But the silver price declined for the third consecutive month in May. To those who still doubt the reality of manipulation, let me pose a simple question: after 3,000 years of the immutable law of supply and demand, why are gold and silver striking out on their own in defiance of that law? The answer is mulivariate, but can be summed up in two words: sovereign fraud. Everyone except the Chinese right now has a vested interest in keeping the price of gold down. If allowed to rise naturally, Gold would be at $4000, and the Dow would be struggling at 4000. The Gold Rush must be stopped, the central banks believe. But they are mere courtiers to King Canute. 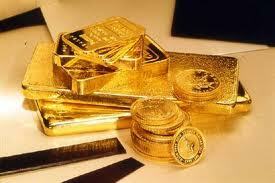 I’m going to buy some more bullion this week. Nobody and nothing is big enough to keep the price of precious metals down. Funny how markets must decide…until they decide against The Markets. Explain that one, Milt baby. This entry was posted in Article, Links, reblog and tagged 2012, 4 June, But The Gold Price Falls 1.5%. Why?, Crash 2 : Panic In The Markets, Disclosure, Earth, John Ward, news, spiritual, Spiritual evolution, The Slog, World. Bookmark the permalink.